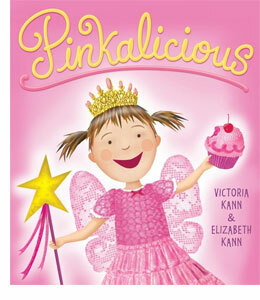 Summary: Pinkalicious just can't stop eating pink cupcakes. Her pink indulgence lands her at the doctor's office with Pinkititis, an affliction that turns her pink from head to toe. “I’m Pinkerbelle!” she shouts. Being pink all over is fun…at first. 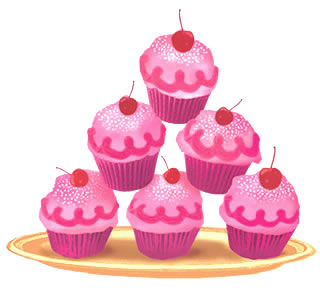 But the fun starts to fade, and Pinkalicious begins to regret eating an entire plate of rosy cupcakes. The doctor says that the only cure for Pinkititis is a hearty helping of green vegetables! 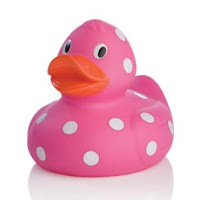 Collect ten different pink objects. Draw a graph with the number of children on one line and list the individual objects along the other line. Pass around each object and then ask the children to hold up their hand if they like that object. Have the children help you graph the results as you ask each question using pink post-its or stickers. Discuss the results after the graph is finished. Explain that a graph can show which objects are liked by more people.